Some of the Olympic medals are rusting, flaking and turning black. AT LEAST 100 Olympic athletes, including Irish sailor Annalise Murphy, have had to send back their medals from the 2016 Rio games to be replaced. The reported problems with the medals, particularly with the bronze medals, include rusting, flaking and black spots. “The most common issue is that they were dropped or mishandled and the varnish has come off and they’ve rusted or gone black in the spot where they were damaged. All 2,488 games were produced by the Brazilian mint, which has agreed to replace any that are returned. “Annalise received an email from the OCI giving her the option to send her silver medal back for re-finishing or to hold on to it. She decided to send it back and dropped it into the OCI a couple of weeks ago. Richard, who looks after Paul and Gary O’Donovan said that he hadn’t heard of any problems with their medals, but would double-check. Among the stars sending their medals back are beach volleyball player Kerri Walsh Jennings, and American wrestlers Kyle Snyder and Helen Maroulis. Email “Annalise Murphy among athletes who are returning their Olympic medals”. 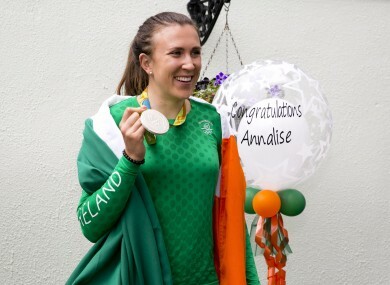 Feedback on “Annalise Murphy among athletes who are returning their Olympic medals”.